Psoriasis is a systemic chronic skin disorder characterized by excessive keratinocytes proliferation that results into thickened scaly plaques, itching and inflammatory changes in the epidermis and dermis. It is transmitted genetically but can be provoked by environmental factors. It is found in approximately 2% of the population that primarily affects the skin and joints. It is associated with other inflammatory disorders and autoimmune diseases (eg psoriatic arthritis, inflammatory bowel disease, coronary artery disease). Generally, it begins as red scaling papules that coalesce to form round-to-oval plaques. The rashes are often pruritic and may be painful. 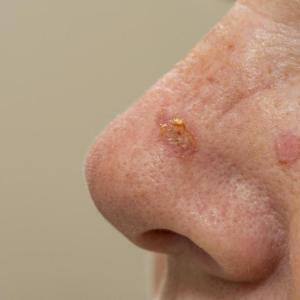 Researchers from the US recently demonstrated synergistic effects of topical calcipotriol and 5-fluorouracil (5-FU) for the treatment of actinic keratosis, a known precursor to squamous cell carcinoma (SCC) of the skin. 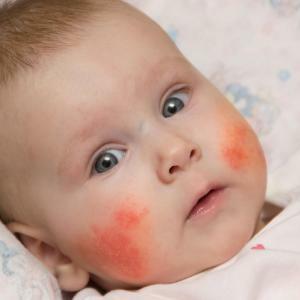 Port-Wine stains (PWSs) can be effectively and safely treated during infancy using pulsed dye laser, without the need for general anaesthesia, according to a new study. Long-term use of the humanized immunoglobulin G1K monoclonal antibody tildrakizumab generated durable responses in adult patients with moderate-to-severe chronic plaque psoriasis*, according to the results of the 3-year extension phases of reSURFACE 1** and 2*** presented at AAD 2019.